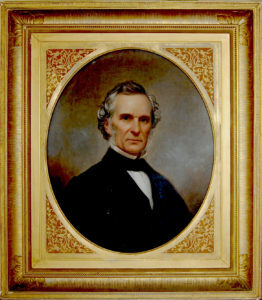 During the tumultuous years leading up to the Civil War, William A. Buckingham (1804–1875)—one-time Norwich mayor, Connecticut governor, and U.S. senator—supported the Union, opposed the expansion of slavery, and declared that compromise with the South was impossible. An important ally of Abraham Lincoln, this noted Norwich citizen was one of the first Civil War governors to rally to Union defense upon declaration of war and one of only a few to remain in office throughout the Civil War. Buckingham invested his own capital in the war effort and paid soldiers for their services out of pocket. “Don’t let any Connecticut man suffer for want of anything that can be done for him,” he famously declared. “If it costs money, draw on me for it.” Thanks to that commitment, Connecticut’s troops were reportedly the best equipped and best trained in the Union. 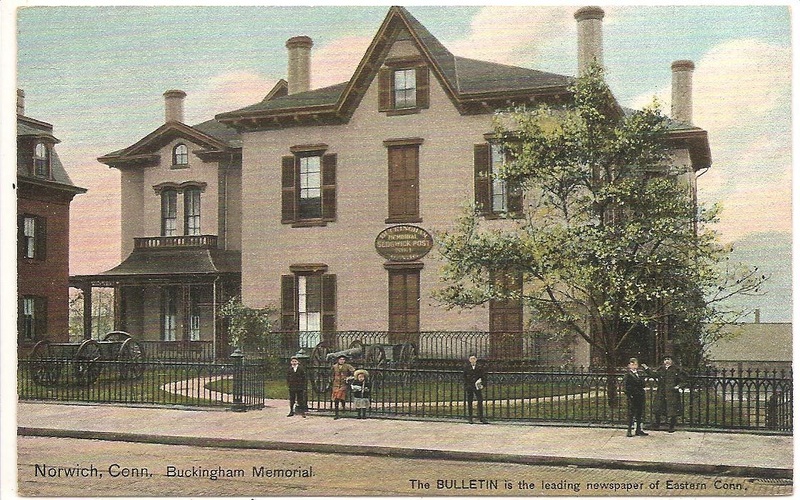 During their long residency, the Italianate-style house Buckingham shared with his wife Eliza was at the center of Norwich society. The couple entertained Ulysses S. Grant here on his visit to Norwich in 1870. In 1898 Sedgwick Post No. 1 of the Grand Army of the Republic, a Civil War veterans’ organization, purchased the building for their headquarters. In 1909, Pres. William Howard Taft attended a reception in the house during celebrations marking the 250th anniversary of Norwich’s founding. The building currently houses offices and meeting rooms for veteran’s organizations. The City has appointed The Guns of Norwich Historical Society to maintain the Civil War canon memorial located in front of the building.